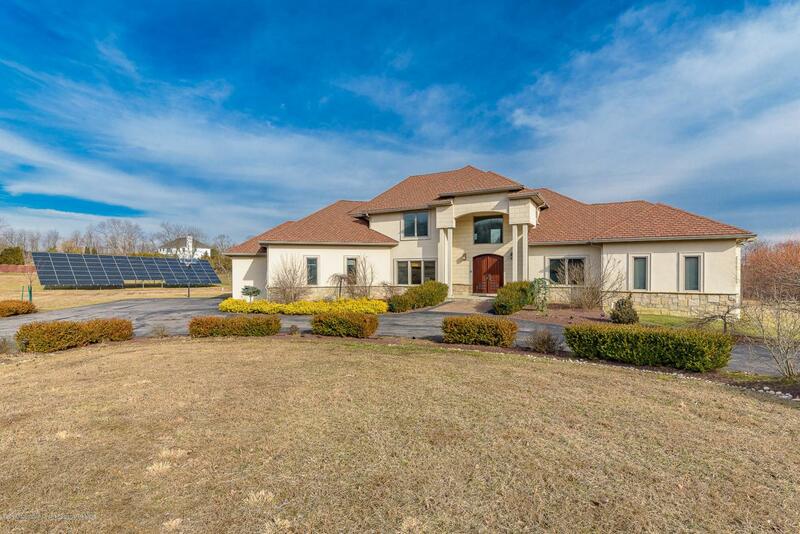 INCREDIBLE 6 BR 5.5 Bath Custom built Mediterranean home in desirable Millstone boasts one of a kind features to fall in love with! Superior craftsmanship, only premium materials used in the construction of this beauty! 5600+ sq ft of living area+ walkout partial finished basement w/ 9' ceilings & rm for maids quarters= even MORE space! Genius Fung Shui design for peaceful living! Solid teak wood dbl doors welcome you to a bright 2 story foyer that will WOW you. Rec lights, full length picturesque windows, insulated walls, ceilings & radiant heated floors throughout! Stunning Chef's EIK w/ comm. exhaust fan, SS apps & dbl doors to expansive deck & open yard! Huge open loft & fireplaces to cozy up next to in the FR & Grand MBR! Effortless entertaining w/ State of the Art Home Theater rm w/6 zone central music sys! High end bath fixtures, copper roof eaves, European Cevilve staircase, heavy duty chandelier winch, 2 dry wells, 2 #100 gal boilers, twin septics, the list goes on! Completely powered by solar $ no elec bill! What more could you ask for? This home TRULY has it ALL! Excluded Bbq Freezer Wine Refrigerator Personal Belongings. Listing information © 2019 Monmouth-Ocean MLS. Listing provided courtesy of Robert Dekanski of Re/Max 1St. Advantage.